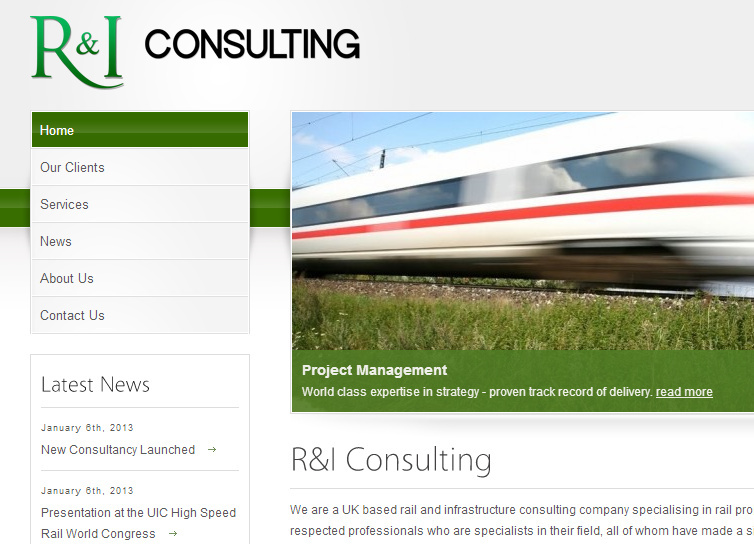 Rail and Infrastructure Consulting Services Ltd (RAICS) approached Primary Image to create a professional web presence as part of their company’s launch. The website design featured a green colour scheme and a modern layout, with several pages of information for prospective customers to read. The content included short profiles of their consultant team, as well as detailing the services on offer and a list of the company’s previous clients. Using the WordPress software, RAICS were also given access to an easy-to-use website editor, meaning they could maintain their website content and publish news stories themselves. We also setup their company email on Microsoft Exchange, which allowed them to efficiently manage their email, calendar and contacts. 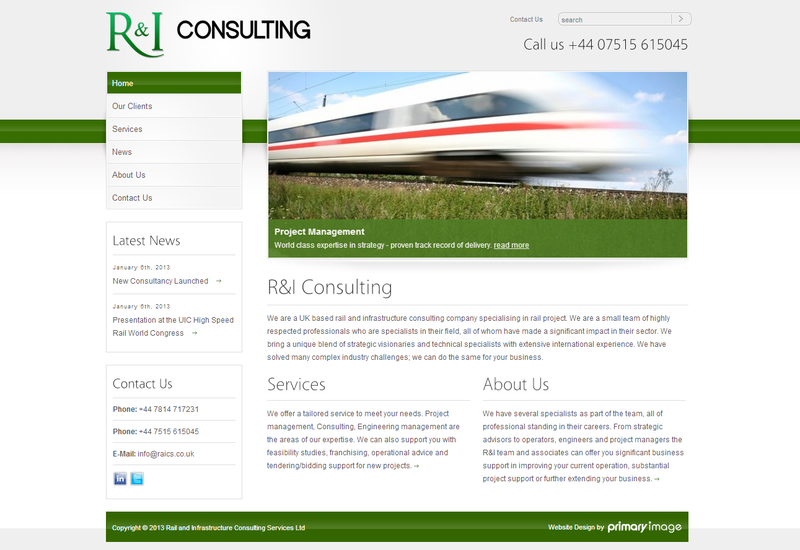 As well as the website, Primary Image also created a logo for the company – see the RAICS logo in our design portfolio section. The website was revamped in 2015 – have a look at the new design.